My School has many athletes and I hear this constantly, are there any tips to Stop our Aching ankles and feet after a Sports event? Are there any exercises to strengthen my feet and ankles? Thanks for your question. Sorry that I don't have a quick answer to what can be a complicated question. 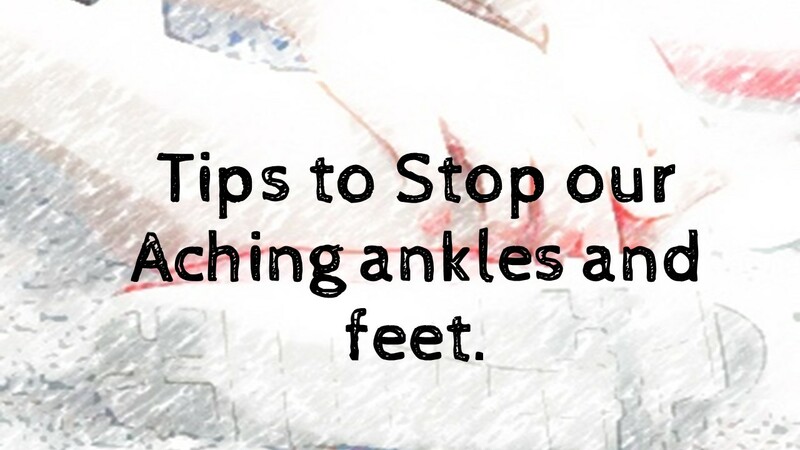 There are many many causes of foot and ankle pain. Pain after participating in intense sports like Soccer is usually caused by overuse. NOT that you are doing too much. Rather, the muscles and tendons are working harder because of a number of things. Old, non-supportive shoes and cleats are very often the culprit. Soccer and Football Cleats especially offer very little support and put an unequal strain on parts of the feet and ankles. Certainly, proper warm-up and stretching are essential to any sports program. Gently warming up and stretching the entire lower body before and after playing is crucial to good function. Ice and occasional anti-inflammatory medicine are OK after a particularly hard event. However, if a regular pattern of soreness develops after every practice or game, you likely have a structural problem that needs professional treatment. Your Podiatrist will evaluate your feet, ankles, and shoes to determine what is causing the overuse, and treat it appropriately. The goal (no pun intended!) is to keep you playing and performing at your highest level while treating and correcting the underlying cause of your pain.